Well the warm weather may not be here quite yet, but the style trends certainly are! This spring, gingham, bold stripes, colored suede and a modern safari look are rocking the runways. So how do you pull these trends into your wardrobe without buying pieces that will quickly go out of style? Here's the good news...these trends are actually classics, and if you choose the styles carefully you'll have them for years to come. Look for clean lines and simple styles...nothing too overdone or "way out there". In other words, tone DOWN the trends so you can wear your purchases season after season. Choose easy to wear pieces that you can easily mix into your current wardrobe. Stripes have been in style for a very long time, but this season they're a bit bolder. 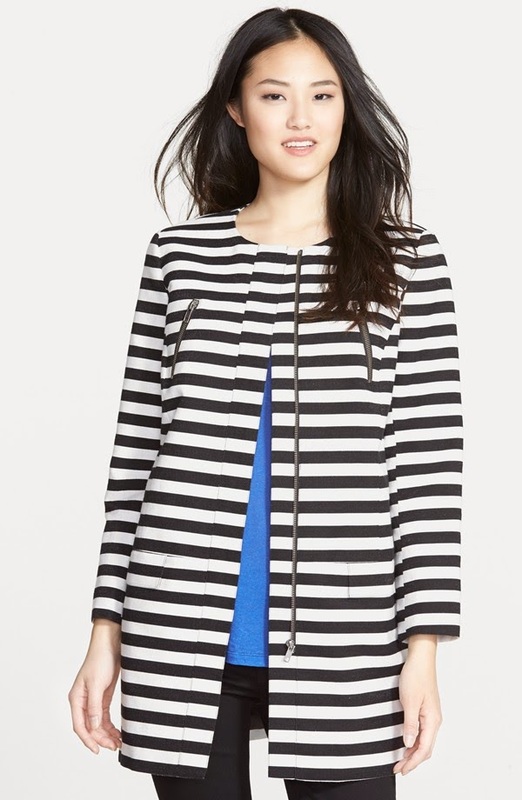 This Halogen striped jacket from Nordstrom is the perfect piece to bring the trend into your spring wardrobe. Fabulous as a lightweight coat or as a "topper" to wear with your dresses and pants. Beautiful shades of suede are in for the spring however use caution when choosing a color. I love this Sam Edelman suede bomber jacket in a beautiful neutral that will go with everything in your closet. This will definitely not be a one season piece! 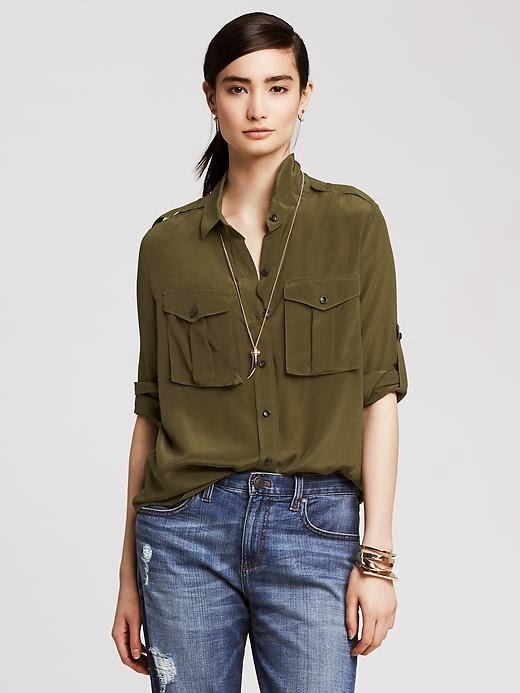 The cut and color of this gorgeous Banana Republic silk blouse says "safari", but it's simple lines make it a classic that is here to stay. Tuck it into a skirt, wear loose with skinny jeans or pair with an armful of wooden bangles for even more of a 'safari" look. What is gingham? Simplified, it's just a checkered pattern! One way to add in this trend without going overboard is to accent your wardrobe with a gingham accessory such as a bag, scarf or belt. 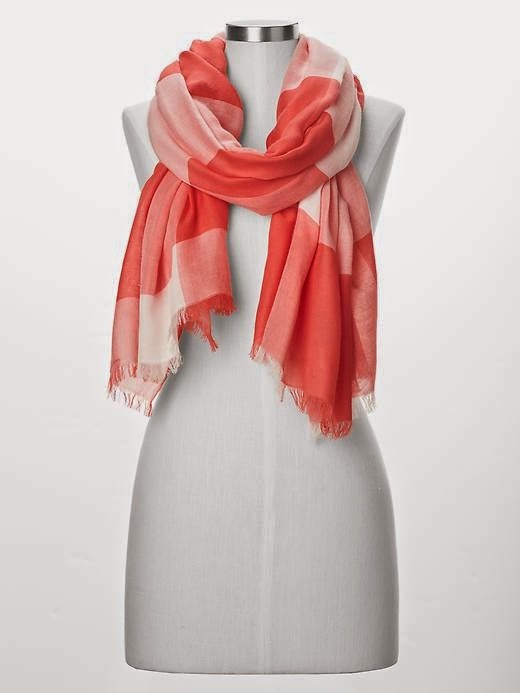 I love the bright punch of color and pattern of this gingham scarf from Gap. DVF is rocking the trend this year with gingham everything from bags to dresses.